You're all set! Confirm you want deals for Expert Exterminators Inc in -zip-? For many property owners across Hawaii, the thought of uninvited guests lurking behind corners and underneath floorboards is not a pleasant one. No homeowner wants to arrive home to unwanted pests taking over their home. For those living in Lihue, HI, they turn to Expert Exterminators Inc., to rid their homes and business of any unwanted pests and insects. Dedicated to the communities they serve, their team of expert exterminators pride themselves on their professionalism and their ability to quickly and efficiently rid any home or business of a variety of unwanted visitors your home might encounter. With over 25 years of industry knowledge and experience, they have the skill and the know-how to rid your property of virtually any invader from spiders and wasps to roaches and other secretive creatures. They also provide termite control utilizing the leading technologies in the field and offer service packages such as quarterly interior/exterior pest control for your convenience. 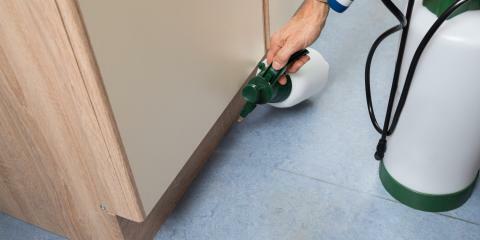 If you have a pest invasion, trust Expert Exterminators Inc. to remove them safely and effectively. To schedule a consultation or to discuss your pest removal concerns with an exterminator, call (808) 742-2241 today. For more detailed information, visit them online.